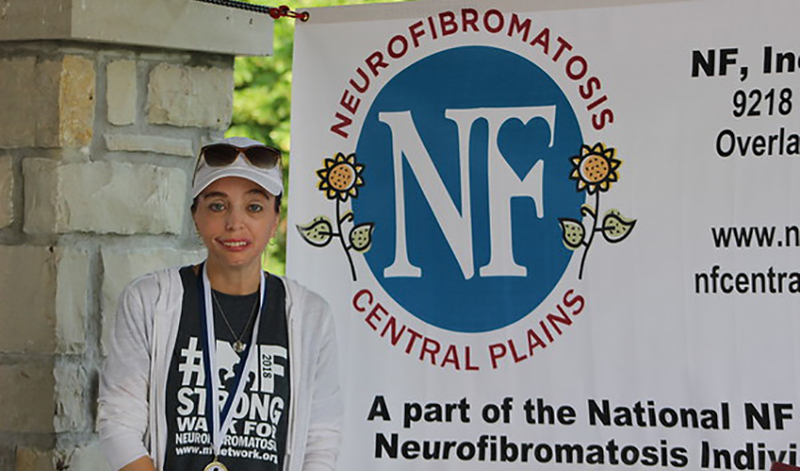 On Saturday, June 2, the Neurofibromatosis (NF) Network and Neurofibromatosis Central Plains celebrated their 10th Annual NF Walk in Kansas City and 10 years of fighting for awareness for NF in the heartland. They also celebrated 10 years of smiles, laughter, and new friends and they celebrated in style, with treats from Nothing Bundt Cake. The morning continued as hundreds of friends and families gathered for a 5K run and walk along with more than 10 NF families. Happy winners claimed 50+ silent auction prizes donated by some of Kansas City’s most charitable businesses. Between food, games, face painting from Coba’s Creations, to hula hooping and dance contests with the DJ, good times were enjoyed by all. After all the fun and game s came the real celebrations as we thanked our sponsors and fundraisers that have joined us in the fight to find treatments and cure for NF: CarMax, Excel Constructors, the University of Kansas Health System, Joshua’s Pest Control, Kansas City Blue Cross Blue Shield, Consolidated Communications Foundation, Pressed4Time Martinizing Dry Cleaners, Validity Screening Solutions, Goodfellas Tattoo Gallery, and Mitzi Ryburn of State Farm Insurance. Our top three fundraising teams each raised nearly $5,000 and we had to sharpen our pencils to determine a winner as only a few hundred dollars separated the winners, but team Tatersaurus pulled off the win followed by Riley’s Monkeys, and then Angelfish. Special recognition was given to Brandi Marley and her team Bezay’s Walk N’Rollers for creation of the Walk and participating all 10 years. As we look ahead to next year and the years to come, we couldn’t be more excited to see what the future has in store for us. Stay tuned for the 2019 event date.